Helps reduce the incidence of cavities. Stimulates saliva production to relieve dryness of the mouth. Adults and children of 6 years and older: Take 2 to 4 lozenges, 3 to 4 times per day. 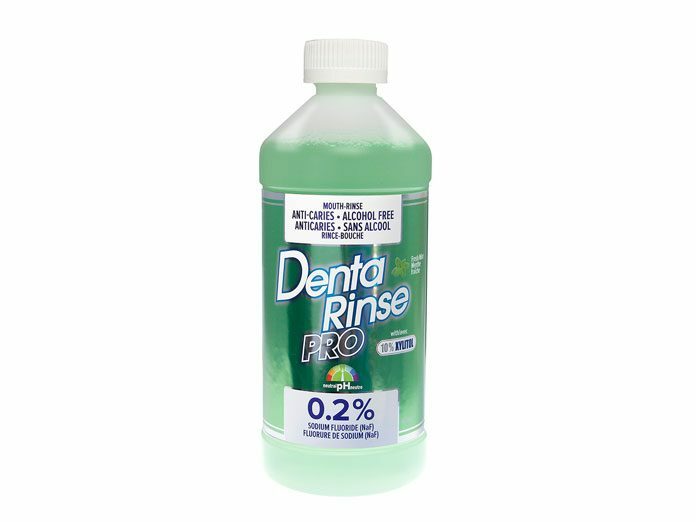 Denta-Rinse Pro Mouth-Rinse penetrates the tooth enamel, rebuilding weak spots, helping your patient to achieve optimal dental health. FOR DAILY USE. 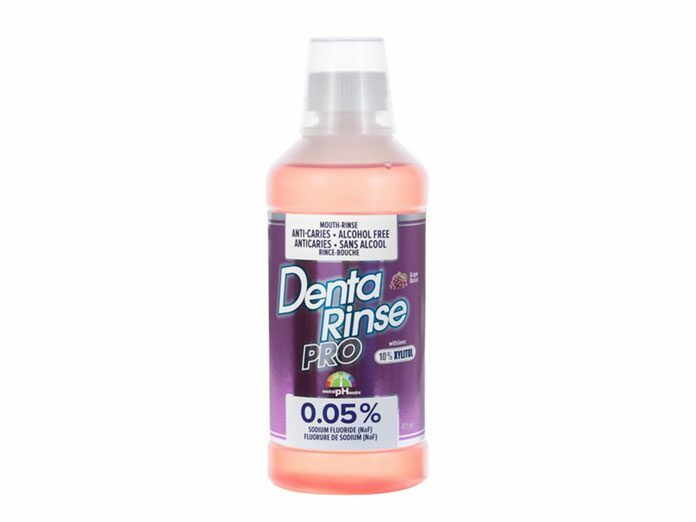 Denta-Rinse Pro Mouth-Rinse penetrates the tooth enamel, rebuilding weak spots, helping your patient to achieve optimal dental health. FOR WEEKLY USE. Help prevent cavities and strengthen your kid’s teeth by instilling good oral care habits with Denta-Rinse PRO 0.05% Kids / Enfants. 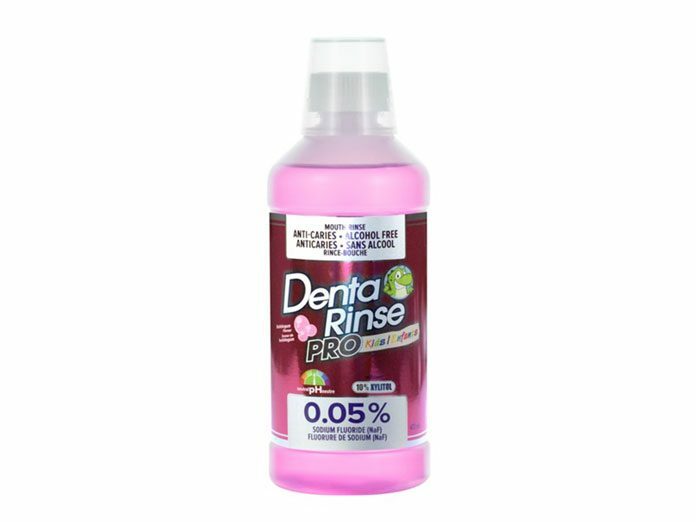 Denta-Rinse PRO 0.05% Kids / Enfants mouth-rinse penetrates tooth enamel to help rebuild weak spots. 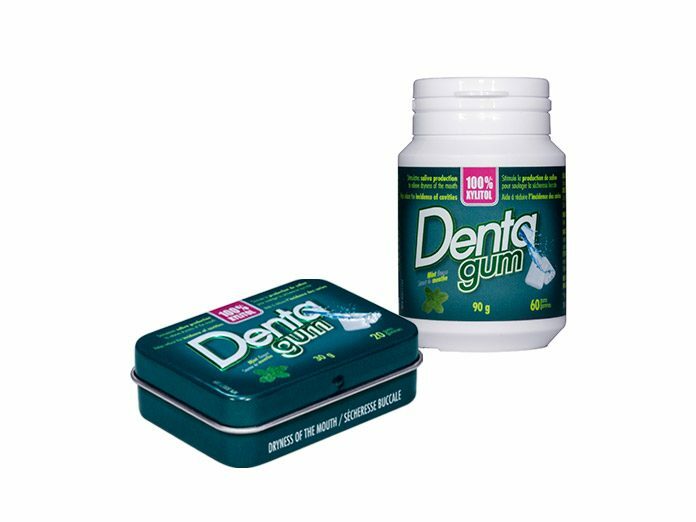 Denta-gum, our mint-flavoured gums, stimulate saliva production to relieve dryness of the mouth and help reduce the incidence of cavities. Recommended doses: Adults: Chew 1 to 2 gums, 3 to 5 times per day. Children of 6 years and older: Chew 1 gum, 3 to 5 times per day. With the Denta line of products, we have a product that suits your needs. The Denta line of products are available at a pharmacy near you.